Above is just a small list of what Don and Wally's offers. 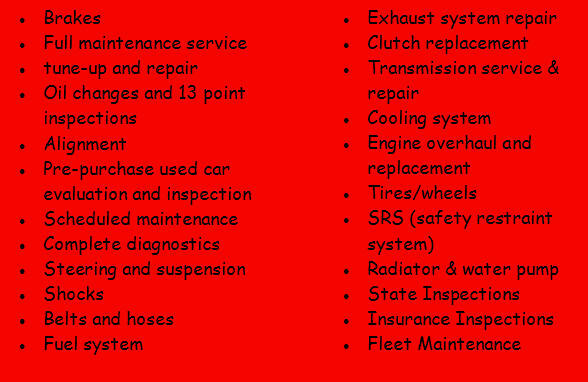 We also have State-of-the-art Diagnostic Equipment. We take pride on using Snap-on Versus and Modis state-of-the-art diagnostic tools and equipment. Coupled with ALLDATA® diagnostic and repair information, we can troubleshoot the most complex problems in a fraction of the time that it takes other shops. We also do Insurance inspections, Commercial and State Inspections, Fleet maintenance, used car inspections, detailing and 24 hour towing.